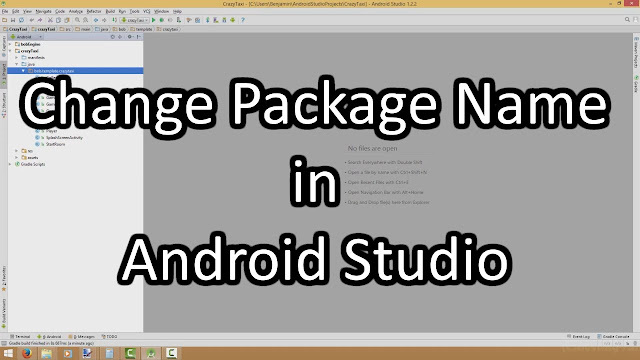 Usually package name in Android Studio resembles something like this - com.vishal.someapp. Select the package same you want to replace and right click on it(shortcut is shift+F6). Click on Refactor and then rename. A dialog box will pop-up giving some information as shown below, click on rename package. A new dialog will show up, type your desired name and then click on refactor. This is the final step, all the usage of the current package name with be shown, now simply click of do refactor and you are done. 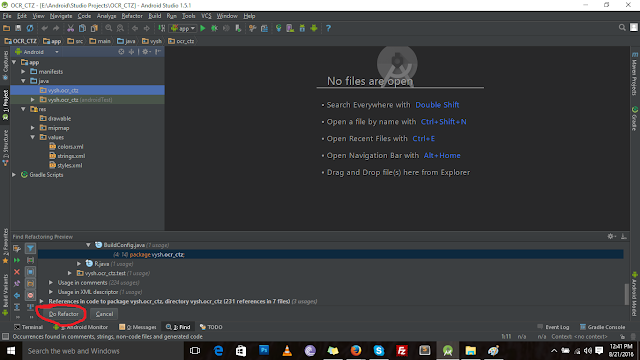 Changing company domain name in Android Studio. 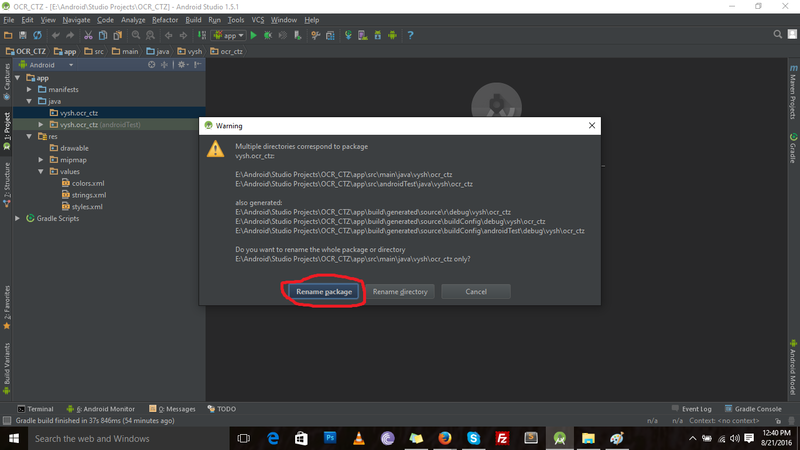 Similar to changing package name, select the package for which you want to change the company domain, and then right click on it. 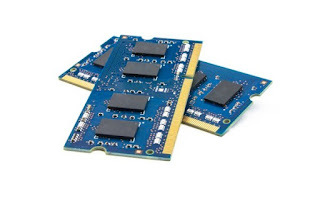 Click on refactor then move. 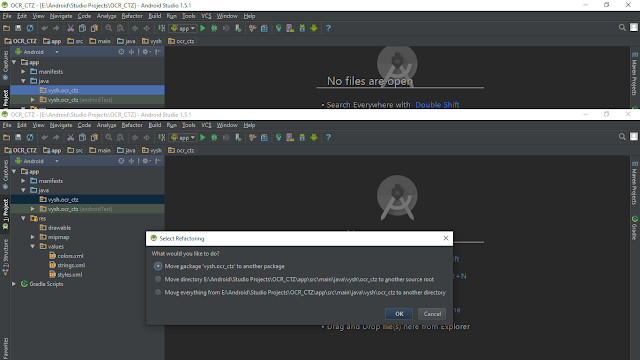 A dialog box will pop up with three options, select the move package option and then click ok.
A new dialog will pop us asking you for new package to move to, enter you desired company domain. Just enter the new name for the company domain you want only and click on refactor. 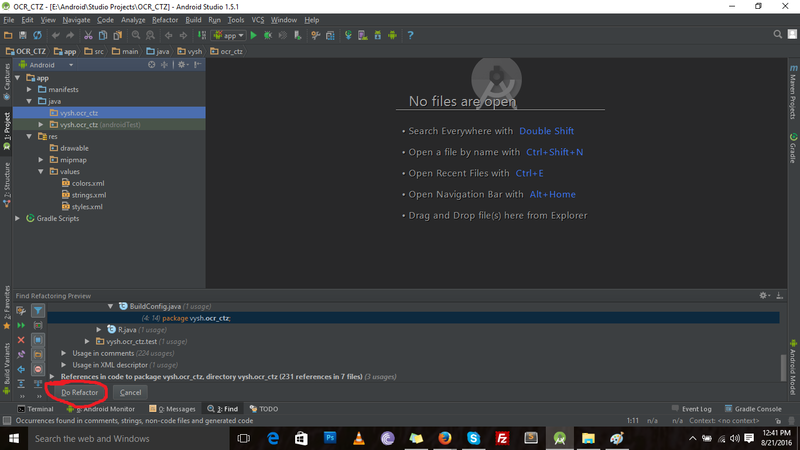 Finally, just as the last step above, click on do refactor after it looks for usage and you are done! 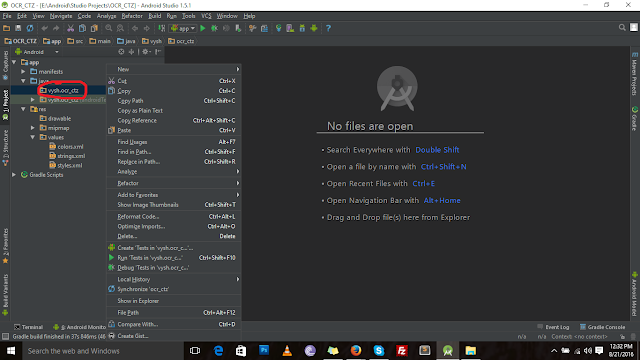 You have successfully change the company domain name in Android Studio. It's pretty easy to do once you figure out how, if you have any problems, feel free to comment them below. I'll get back to you asap.